After the interruption of Thanksgiving, the team of elected President Donald Trump continues to add new members to his administration. 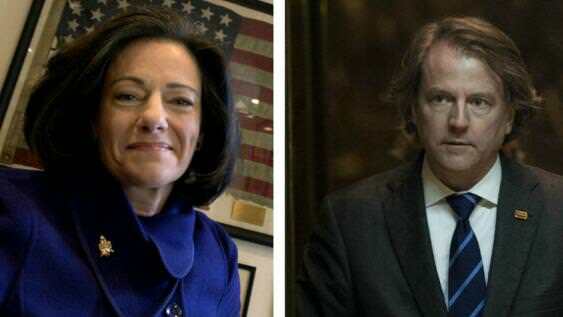 The tycoon has appointed lawyer and former chairman of the Federal Election Commission (FEC acronym) Don McGahn, White House counsel. The president also elected former government official and an analyst on Fox News television network, KT McFarland, as Deputy National Security Adviser, as confirmed by the transition team to several US media. McFarland’s professional career is linked to the National Security in several Republican administrations from Richard Nixon to Ronald Reagan, according to detailed her official website. The regular contributor to Fox News worked under Henry Kissinger when she was National Security Advisor to the Nixon administration in the 70s also served as Pentagon spokesman between 1980-1984. In 2006, McFarland was nominated to the Senate by the state of New York – to occupy the chair of Hillary Clinton – but she was not elected. In interventions on television, McFarland has been critical of the policy of Barack Obama in the fight against terrorism. A few days ago praised the election that had made trump for the post of National Security Adviser, retired Lieutenant General Mike Flynn; his next ‘chief. The other appointment released today is the McGahn as legal advisor to the White House. According to his official biography says in the law firm Jones Day where she is a partner, a lawyer who advises and represents elected officials, candidates, state political parties, political consultants on legal issues. In the last campaign, McGahn already advised to Trump. For nearly a decade, the lawyer worked as a legal adviser for the Republican National Committee. With his appointment, McGahn will have to work on potential conflicts of interest arising from the estate of the Tycoon.